HF: Kevin Hogg took this photo on 14th April 2017, through locked gates. Many thanks Kevin. 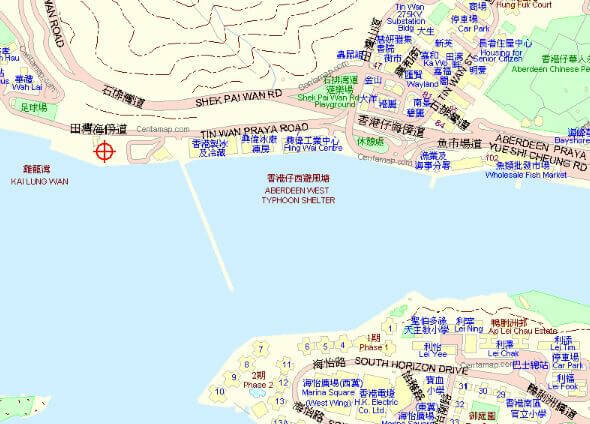 Hong Kong United Dockyards (HUD) was formed in 1973 from the merger of the Hong Kong and Whampoa Dock and Taikoo Dockyard. 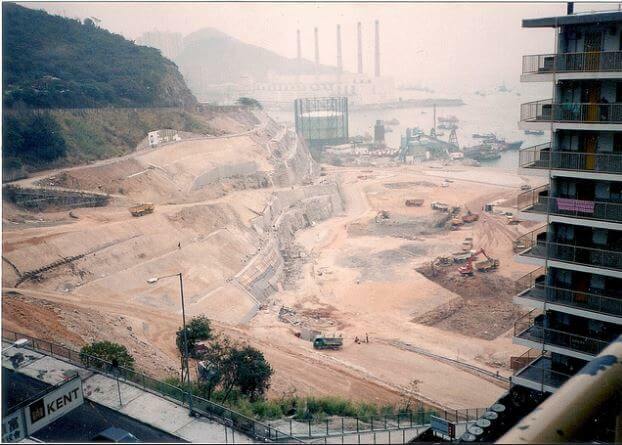 And in 1980 Taikoo and HWD left their respective sites and moved their joint operations to Tsing Yi Island. SD: My hunch is that Cutler’s have long since bitten the dust and I can’t help but wonder about the date. 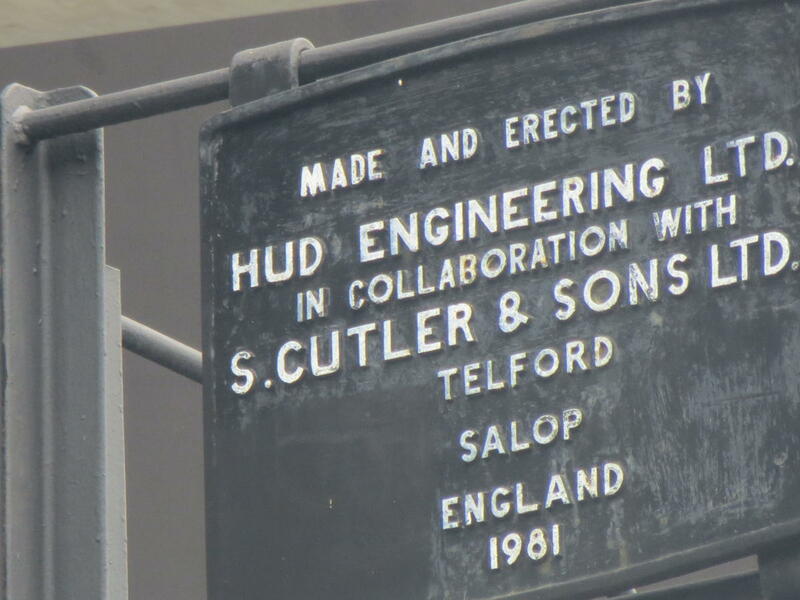 It seems possible to me that the gasometer may have been an original Cutler reassembled by HUD in 1981. HF: The Engineer 1968 Jan-Jun: Index has under Cutler & Sons Ltd., Samuel “Gasholder in steel tank ordered by Hong Kong & China Gas Co., C (726)”. Could this be the Aberdeen gasholder? 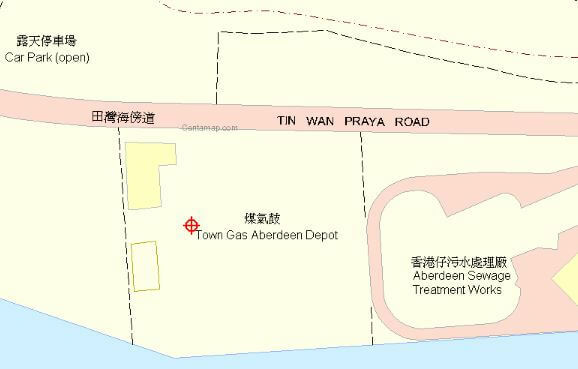 If so where did HK & China Gas originally erect it on delivery? This article was first posted on 1st January 2017. 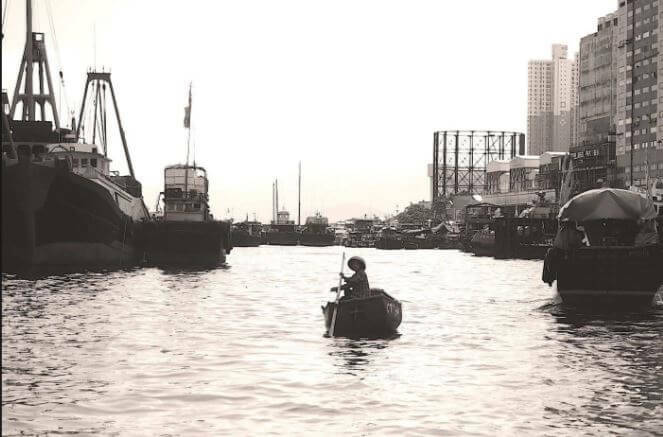 I have inserted the image into the article as it shows Wah Kwai Estate under construction as well as the Gasometer.